This summer, kimonos are a must have for an effortless boho chic look. The One Hundred Stars Paris Kimono will keep you stylish from a busy daytime to a relaxed night out. 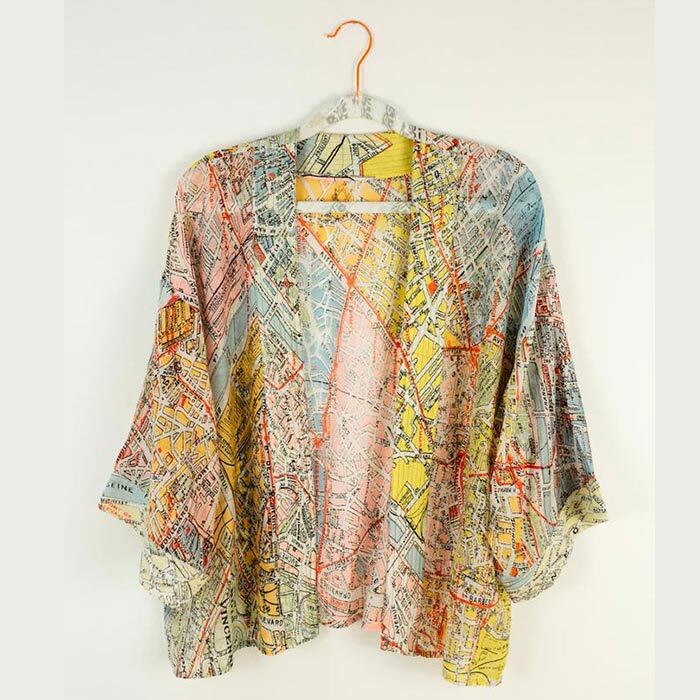 This fab Short Kimono has large 3/4 sleeves and a gorgeous print of a retro inspired Paris map that makes the perfect cover up for summer and early autumn season. As worn on Mama Mia 2 the Paris Map Short Kimono is also a great layering piece for your summer holidays. Its one size fits all. You can now buy online the Star Paris Kimono £40 with Free UK Delivery.